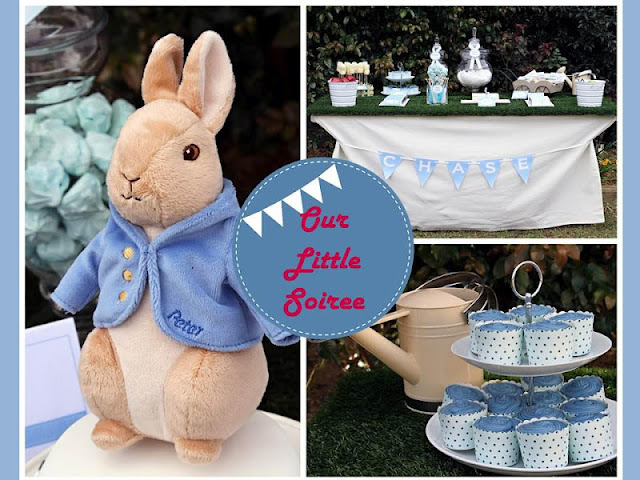 This darling PETER RABBIT 1ST BIRTHDAY PARTY was submitted by Daniela Saliba of Our Little Soiree. Who doesn't love the classic Peter Rabbit books? Such a cute party theme. 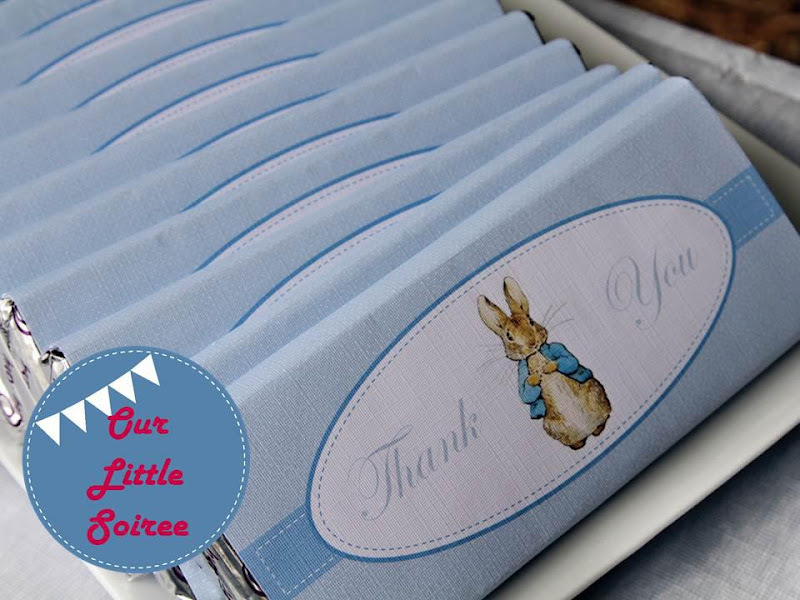 Perfect for Easter & Spring, too! 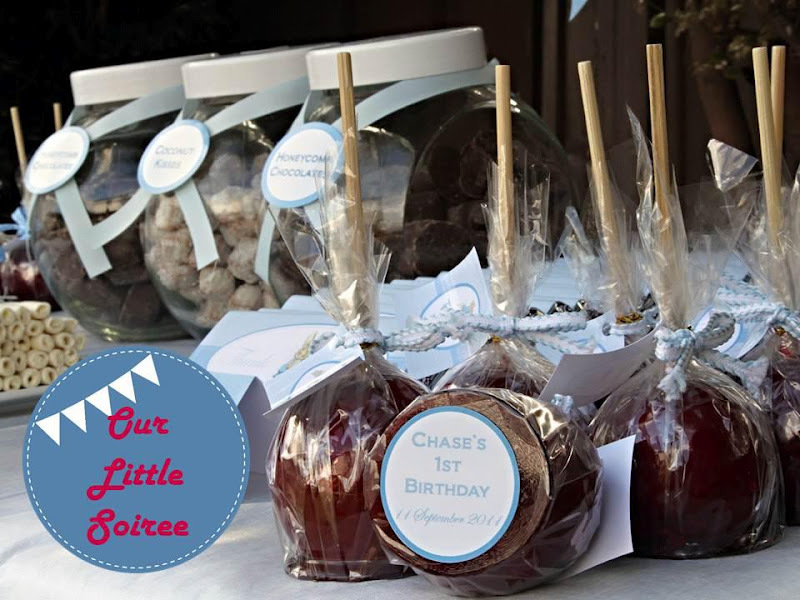 Party Details told by Daniela-- "I created this party for my son Chase's 1st Birthday. 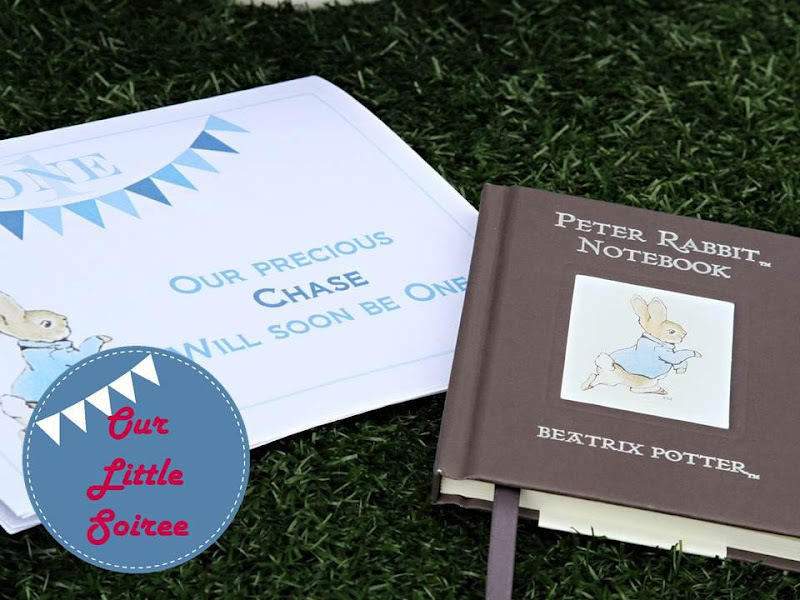 I wanted a storybook theme as reading is such a beautiful memory from my childhood and I couldn't wait to share this experience with Chase. 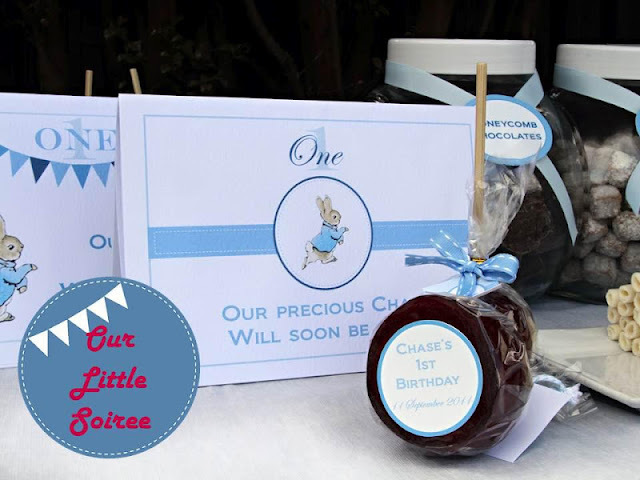 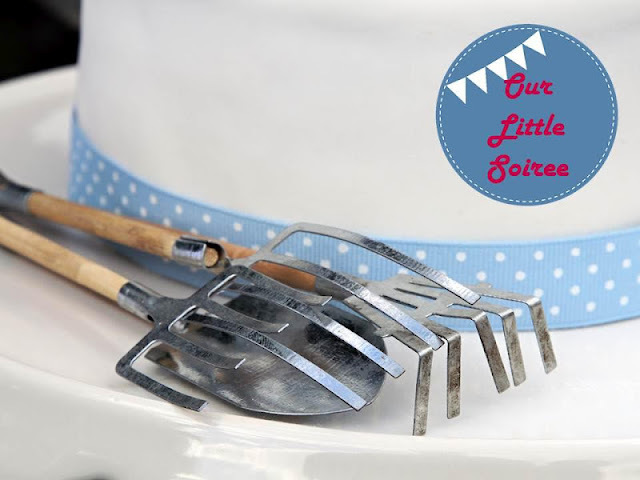 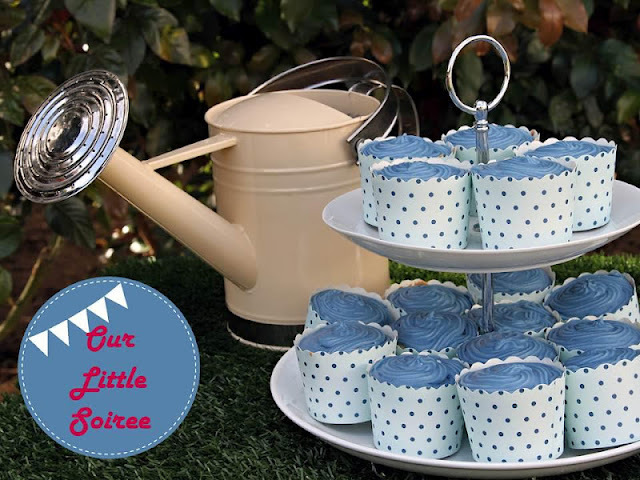 I started with the printables and went from there collecting little pieces for props and beautiful products from all my favourite online party stores. 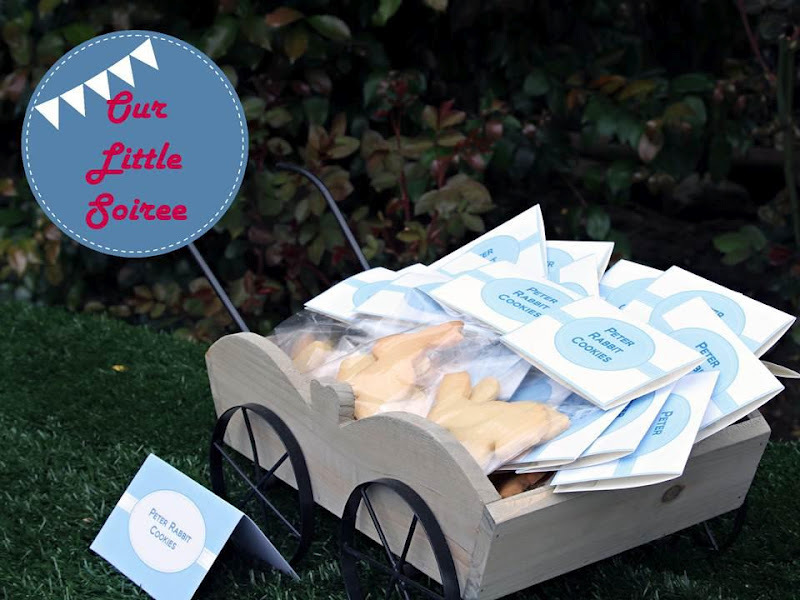 The day was gorgeous and our beautiful photographer Laura of Laura Sheppard Photography was amazing. Her photos were priceless." 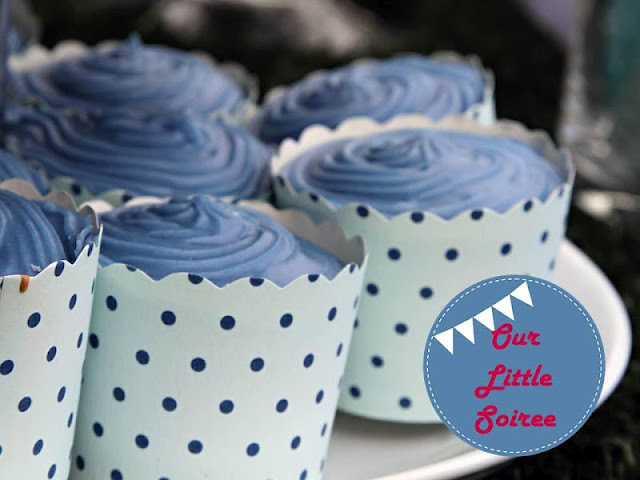 This party is just too adorable! 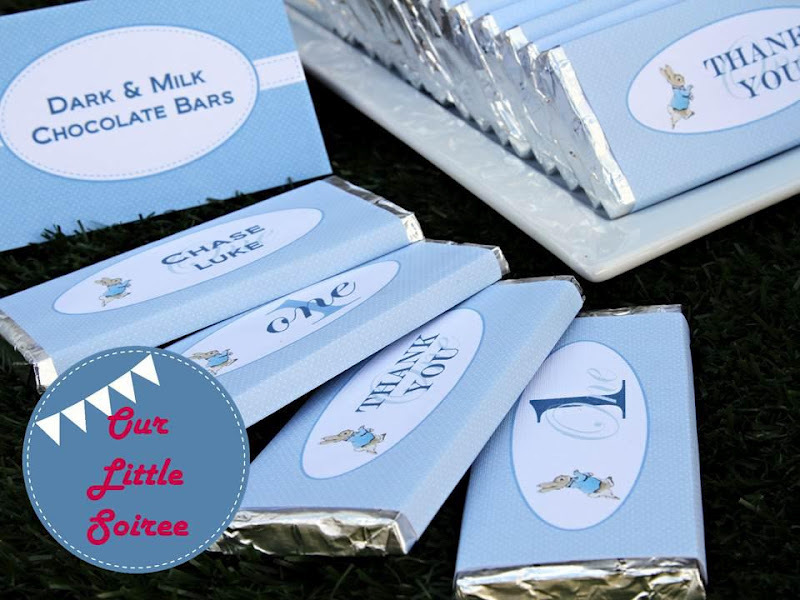 I love the peter rabbit theme - so cute! 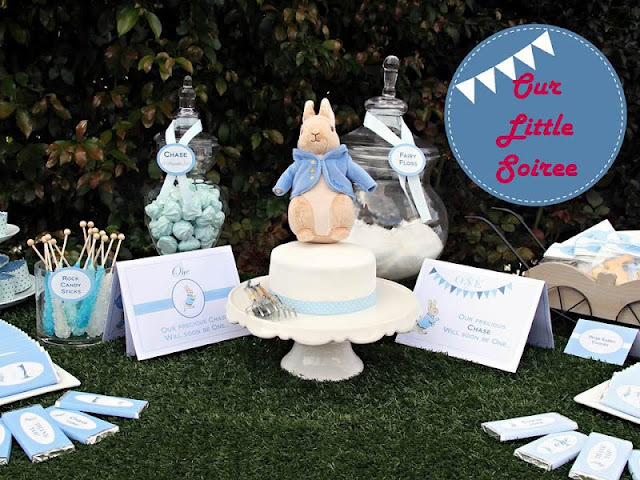 Love the colors for this theme and all of the sweet details. 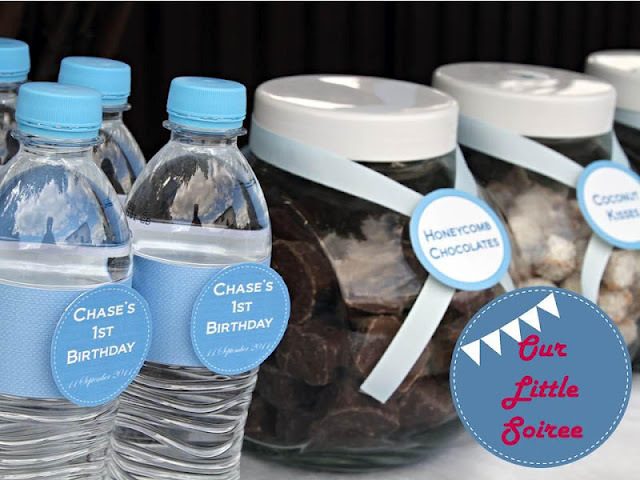 Those cupcake wraps and the water bottle wraps are lovely.